LexFavios is headed by Sumes Dewan, who is one of few lawyers in india to be admitted as an Honorary fellow of the Association of Fellows and Legal Scholars, Center for International Studies; and Member of Congress of Fellows of the Center for International Legal Studies and has been nominated by Asia Law Leading Lawyers survey 2007, 2008, 2009, 2010, 2011, 2012, 2013 and 2014 as one of the most highly-acclaimed legal experts in the Asia-Pacific region in the practice area – Capital Makets & Corporate Finance. Litigation Practice is headed by Indranil Ghosh who has extensive experience in acting for clients before various forums including. Supreme Court, Delhi High Court, Commissions and Tribunals, Mr.Ghosh been nominated as “The International Who’s Who of Commerial Litigators 2007”, Won the Queen’s Award, Aisa Law leading Lawyers in the field of Dispute Resolution by Asia Pacific Lawyers, Scroll of Homour for the year 2009 presented by International Council of Justics, All India Bar Association. 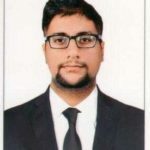 Tax practice is headed by Sarvesh Srivastava who is one of the leading tax counsel who has extensive experience in the advising on all aspects of tax issues including interpretation of International Tax Treaties and Non-resident Taxation. Mr.Srivastava has been advising on all issues with respect of cross-border tranactions including mitigration of permanent establishment exposure, tax efficient structuring of strategic foreign investment. Kriti Sharma, Senior Consultant – Mumbai Office at Lex Favios. 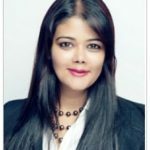 Kriti Sharma is a Mumbai based Commercial Lawyer, with MSc. in Law and Finance from Oxford, UK. She brings with herself a decade of legal experience. Kriti has advised and worked for both Indian and International law-firms and MNCs’ within a span of 8 years. Her dual degree supports Lex Favios in an advisory role. She has worked on Commercial transactions under M&A, Finance and Antitrust laws. Kriti’s key practice areas comprise of business acceleration support, fin-tech and commercial legal documentation. She has carried out Legal Due Diligence of various companies in diverse sectors such as infrastructure, oil and gas, IT, floriculture, etc., for M&A, private equity and capital market transactions. Rakesh Sharma, Senior Consultant Healthcare, Medical Devices & Pharmaceuticals. Mr. Rakesh Sharma is a leading expert in the field of Government and Regulatory affairs. He has a wide-ranging leadership experience of over 30 years with Fortune 500 companies like (Becton Dickinson India Gillette India) covering a broad spectrum of consultancy assignments in the field of Regulatory Affairs, Government Affairs, Supply Chain Management, Public Policy Imports /Exports, Logistics, Procurement etc. Mr. Sharma has in-depth understanding of Drug and Pharmaceutical laws. He has been associated with Ministry of Health / Office of Drug Controller General of India, Consumer Affairs Ministry, Finance Ministry, Bureau of Indian Standards, Ministry of Science & Technology. Rupal Jhanjee Singhal heads the Banking and Finance Practice of the Firm, She is an Advocate and Member if the Insitute of Company Secretaries of India, Having worked with MNCs lie Maruti Susuki, GE Capital Finance and McDonals India and various Banking institutions the specializes in Banking and Finance Laws, Corporate Laws, FEMA Regulations, Property Laws. She has been involved in drafting and execution of loan documents for Consortium of various banks for financing, re financing, Corporate Debt Restructuring (CDR), Strategic Debt Restructuring (SDR) of various Companies. 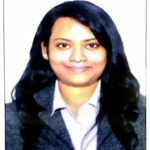 Ms. Arpita Karmakar, Senior Associate Lex Favios, is Practicing Company Secretary (PCS), Practice area includes Corporate & Regulatory Compliances and Labour Laws. She has been instrumental in undertaking corporate compliances under Companies Act, 2013, FEMA 1999 including Foreign Trade Policy, RBI Regulations, SEBI laws, Competition Act, 2002, Income-tax laws, Goods & Services Tax, Insolvency and Bankruptcy Code etc. 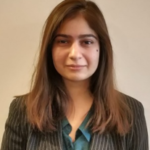 She has extensive experience in carrying out legal due diligence and risk assessment with respect to cooperate and legal compliances and has been advising on issues such as employment. Mr. Varun Narad, Senior Associate Lex Favios. He is part of Banking and Real Estate Practice of the Firm. His Practice area covers Banking & Finance, Securitization, Real Estate and General Corporate Advisory. 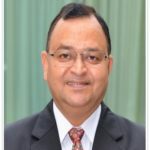 He has extensively been involved in assisting banks, NBFC and other financial institutions with respect to regulatory compliances, setting up of NBFCs, drafting, negotiation and execution of Consortium Documents of banks such as SBI, Axis Bank, and has been involved in carrying out legal due diligence, risk assessment and tittle search for large tracks of land on a Pan India basis. Ms. Palak Sehgal, Senior Associate, Lex Favios, Practice area covers Mergers & Acquisitions, Capital Markets and Information Technology. Her experience includes advising on transactions such as acquisition of Indian companies and being part of large M&A and Private Equity transactions, carrying out legal due diligence drafting of shareholders agreements and being part of complex negotiations. She has been advising client on setting up of Alternate Investment Funds (AIFs), handling Rights Issues and listing of Convertible Debentures for various corporates.